Custom's House near Circular Quay. 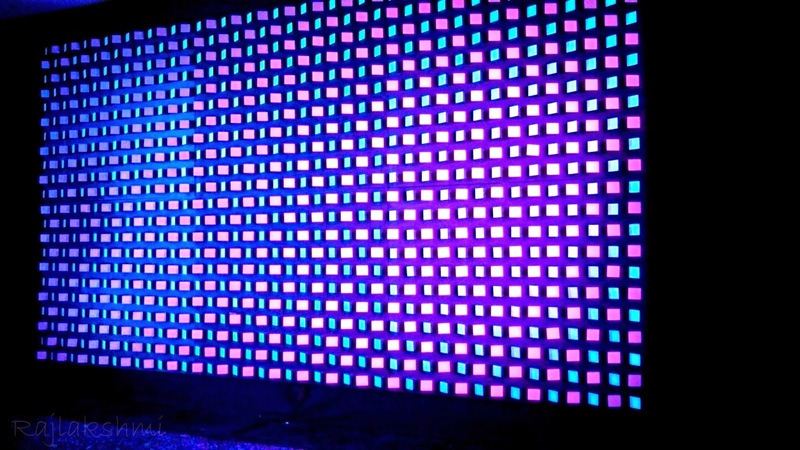 On any other day, you would walk past the building without giving it a second look, but during sydney vivid the building turned into a live musical art. Different instruments like pipe, piano keys, drums were projected on the building and were played in rhythm with music. It was fun to watch the intruments come live on such a huge architecture. Vivid Aquatique Show - a musical show of lights on water at Darling Harbour. Dancing water jets to the rhythm of peppy music, animations, light and colorful laser shows, watching Vivid Aquatique was an experience of a kind. 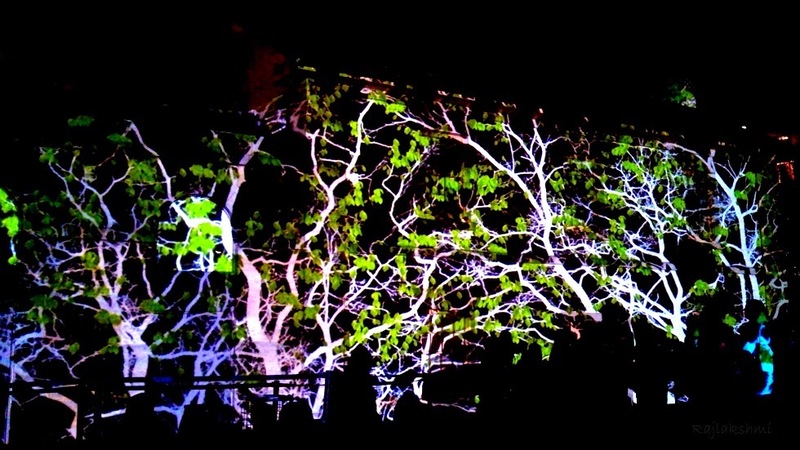 The building around sydney were converted into a canvas for light and laser show. Kangaroos hopped, there was rain and lighting on the buildings, an umbrella floated by, and below is a bulb walking followed by the clouds. 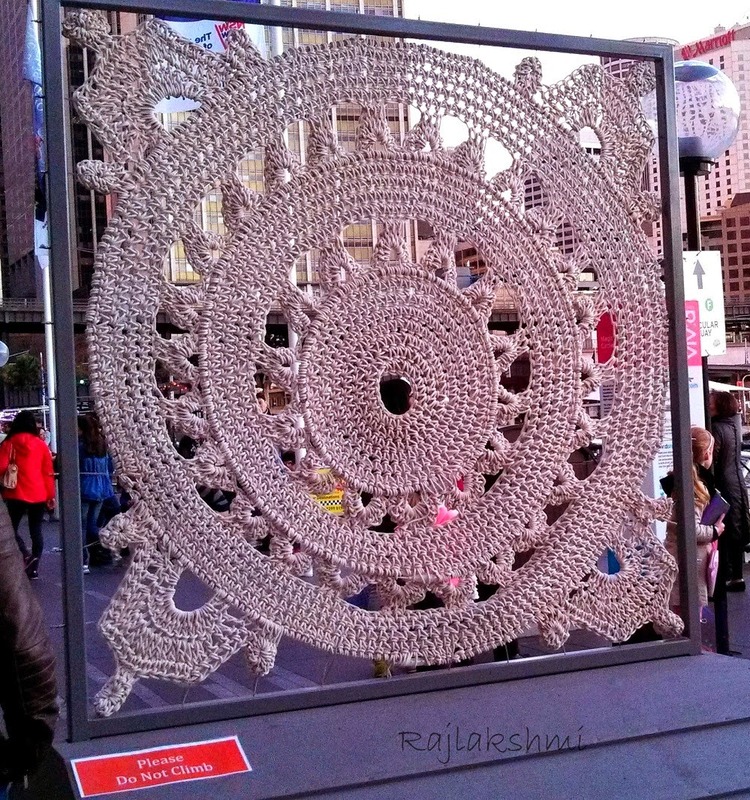 This huge crochet knit design was placed near Opera House. 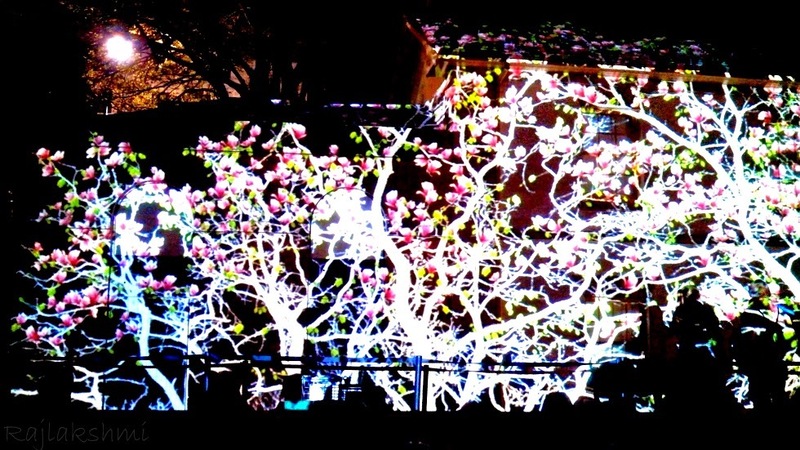 The beautiful display of Cherry blossoms projected on the wall. They changed color from pink to green. Looked so beautiful and peaceful. Those are beautiful pics.. I did not know you have another blog .. wow!! What a marvelous display and pictures. You did us a favor by sharing them and they are amazing. Loved the journey through your pictures. I am really inspired by this and want to get to Sydney for Vivid next year. Wonderful photos. thank you so much Rhonda :) Oh yeah maybe next year they would add some more spectacular shows. Wow! Must have been amazing!! yes it was quite amazing. Thank you. Nice photos. The wonderful spectacle of shapes, light and color at night! Love it! Thank you so much Leovi. Impressive!! Boom, Bobbi and Gary.